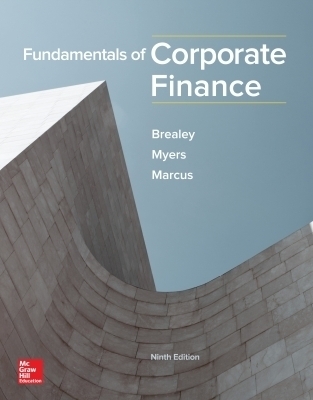 Fundamentals of Corporate Finance , by Brealey, Myers and Marcus, provides students with a solid framework of theory and application to use well after they complete the course. This author team is known for their outstanding research, teaching efforts, and world-renowned finance textbooks, so it's no surprise that they provide clear exposition of difficult material without sacrificing up-to-date, technically correct treatments. And with the Ninth Edition, McGraw-Hillâ€™s ConnectÂ® empowers students by continually adapting to deliver precisely what they need, when they need it, and how they need it, so your class time is more engaging and effective.